Hand & Body Lotion is a lightly scented skin moisturizing lotion with aloe that helps prevent chapped and rough skin. 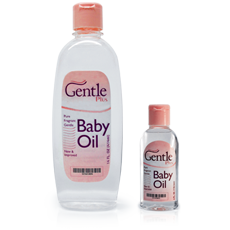 Gentle Plus Baby Oil is infused with Lanolin to offer an effective way to moisturize and nourish skin leaving it baby-soft and smooth to the touch. 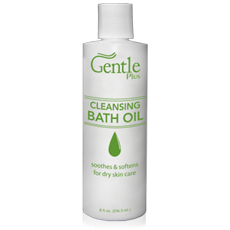 Gentle Plus Bath Oil is soothing, hydrating oil that gently cleanses and moisturizes sensitive skin. It is specifically formulated to meet the needs of severely dry skin in adults and can be helpful in aiding in the treatment of mild dermatitis and eczema. 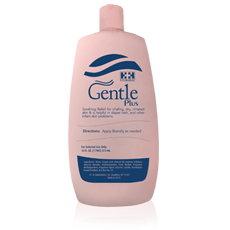 Gentle Plus Baby lotion helps soften and gently moisturize delicate skin. It is fast absorbing to heal dryness at the source and promote healthy skin. Gentle Plus Baby Lotion has a creamy, silky smooth texture to provide all-day moisturizing.